US Senator Leahy, a self-confessed Batman fan, talks to the AFP on Nov. 28, 2017. Senator Patrick Leahy (Democrat, Vermont), the most senior US senator and big fan of Batman, talks to the AFP at his office on Capitol Hill on Nov. 28, 2017, in Washington, DC. Leahy poses for a photo on the balcony of his office which faces the Washington Monument. Books on Democracy, Vermont and photography, family pictures as well as Batman objects adorn his office. Leahy has filmed 5 cameo appearances in Batman movies and written introductions for DC Comics Batman books. 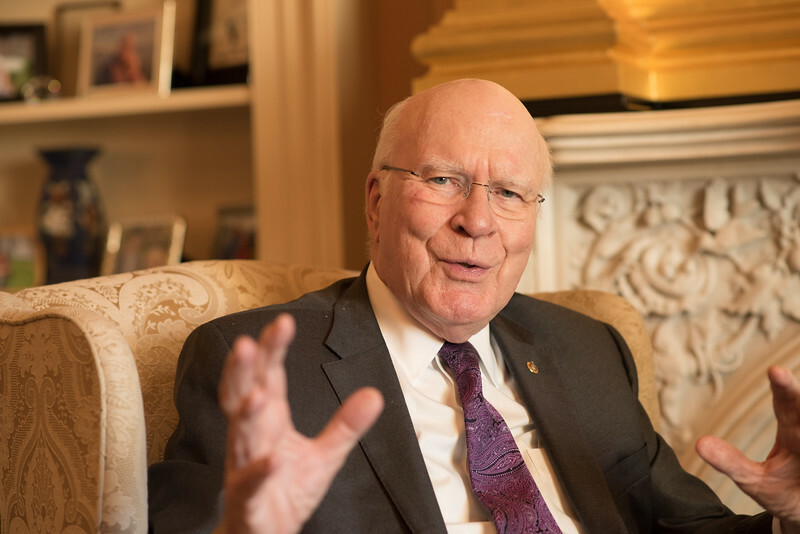 Patrick Leahy has been the US democrat Senator from Vermont since 1974. He was the youngest Vermont senator at the time. He is now the most senior American senator, the Senate’s longest serving member, having worked with 8 presidents.